You get both volumes, Card College 1 and Card College 2 . This makes browsing and following the cross hyperlinks from volume 1 to volume 2 and vice versa a lot more convenient. And since you are buying two volumes, we can give you a bit of a price break. For a detailed description of the contents of volume 1 and 2, please refer to the separate product pages. 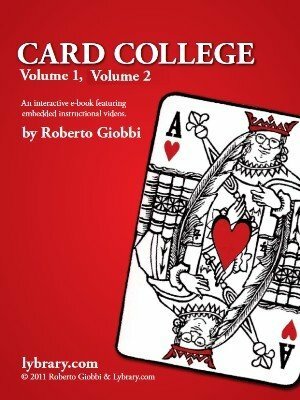 You will find in these two ebooks almost 200 embedded video clips showing you how master magician Giobbi works the cards.